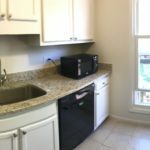 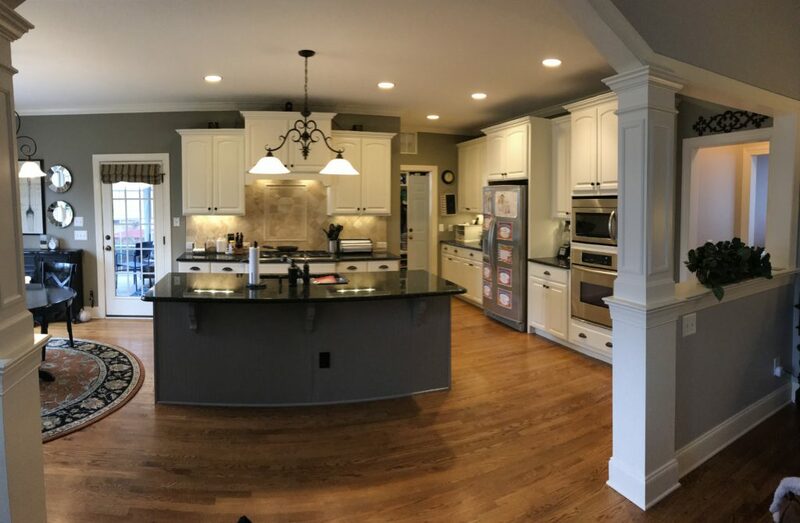 This kitchen didn’t receive any direct light. 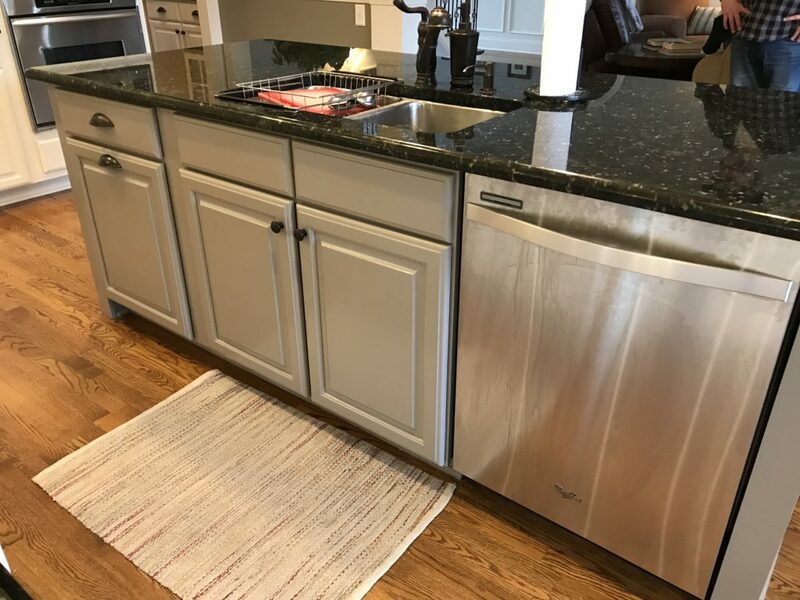 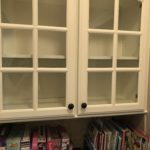 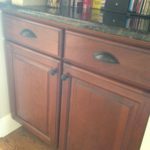 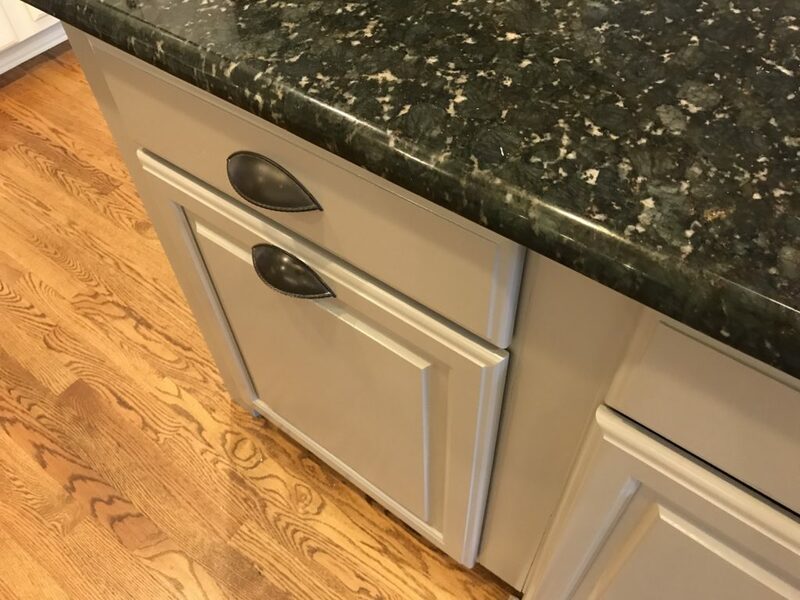 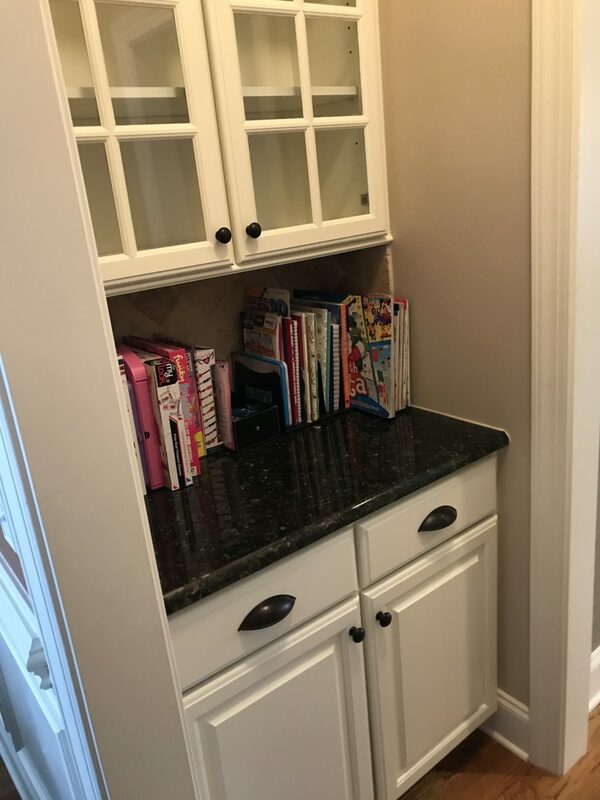 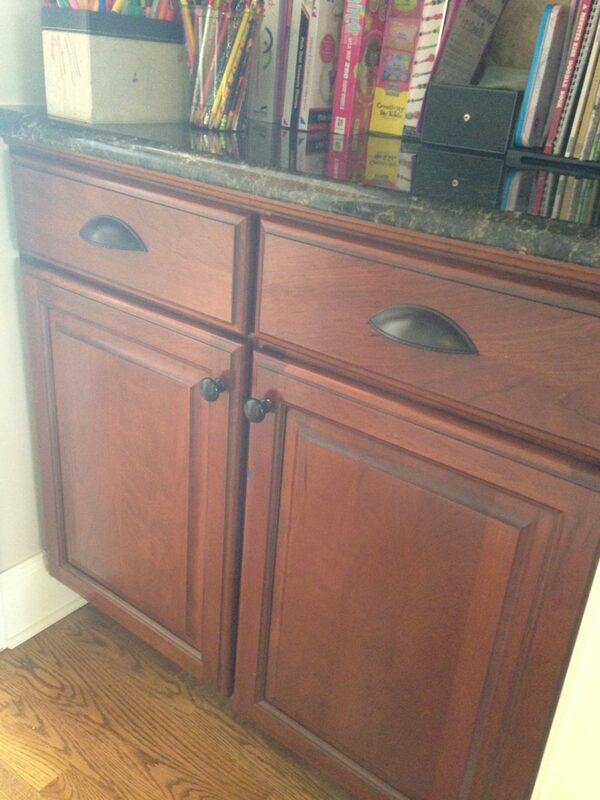 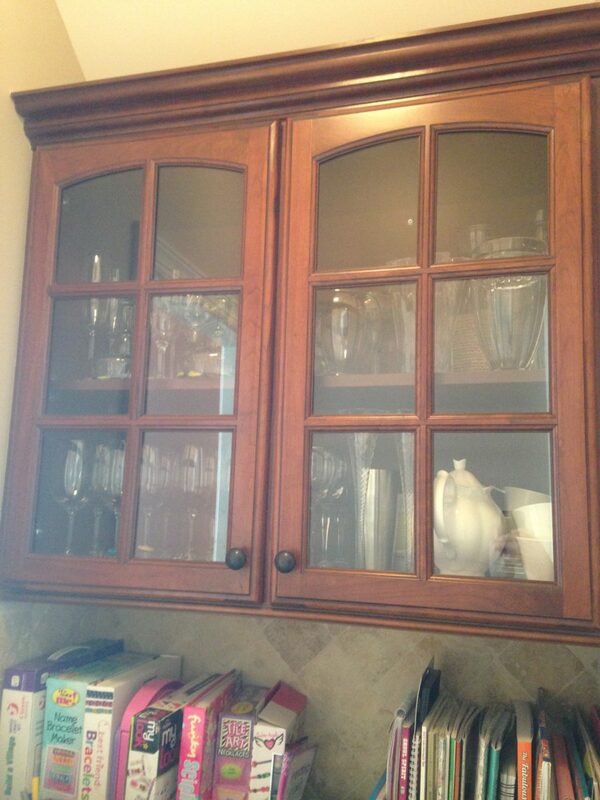 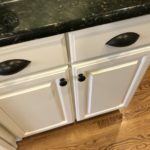 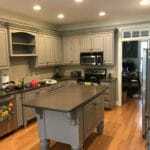 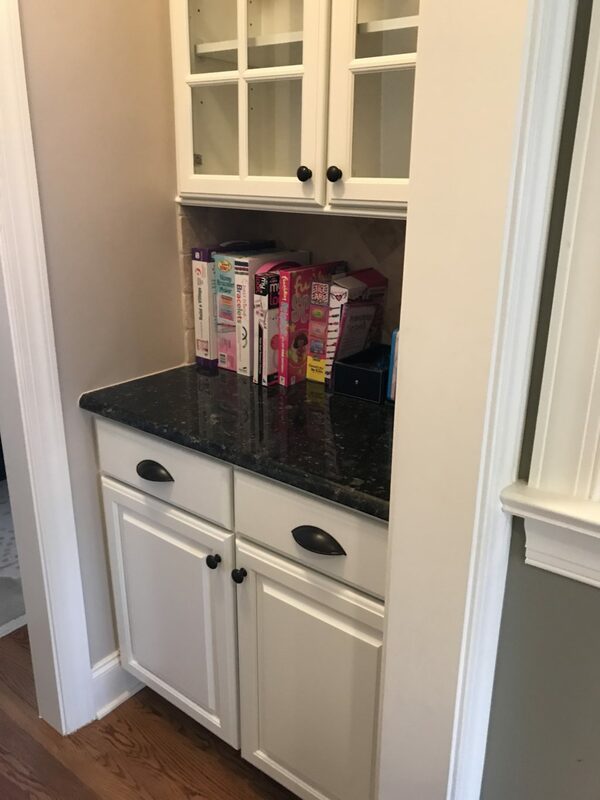 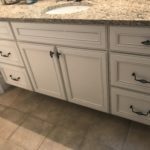 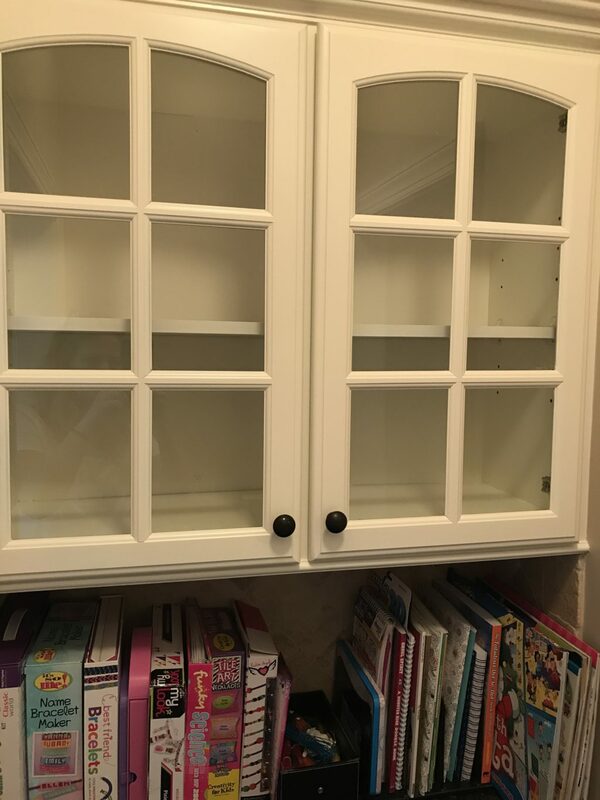 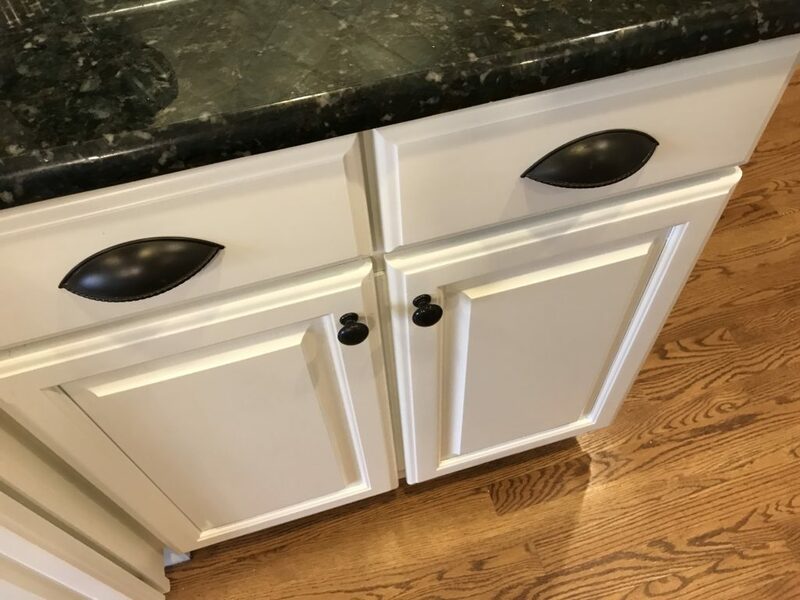 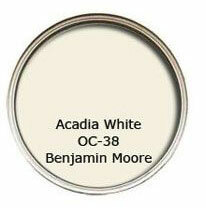 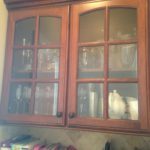 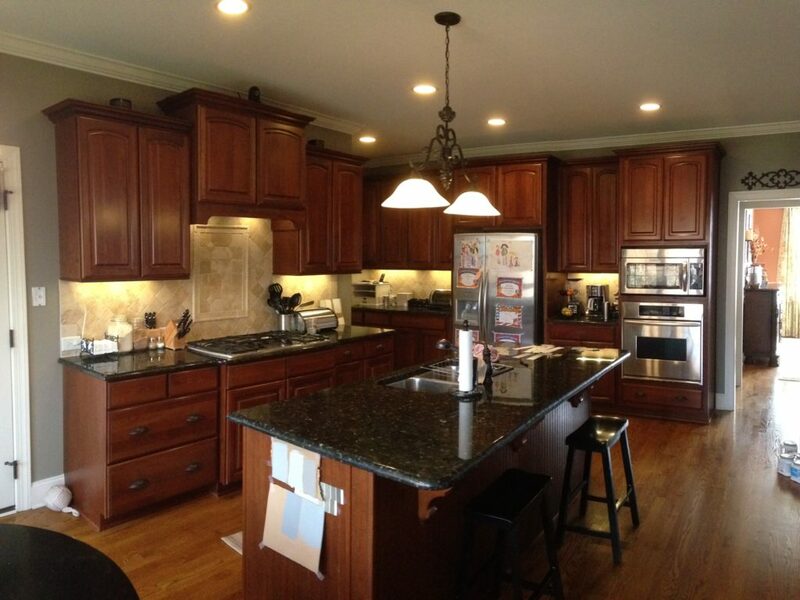 That, coupled with the dark cabinets, made it feel dreary and uninviting. 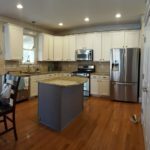 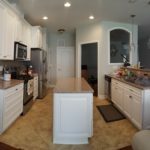 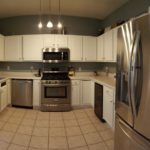 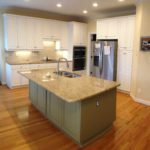 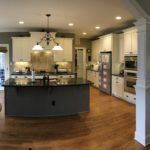 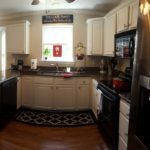 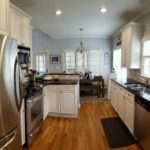 The homeowners chose a warm color that was just a hair lighter than the trim so that it would feel as light and bright as possible. 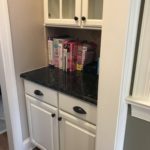 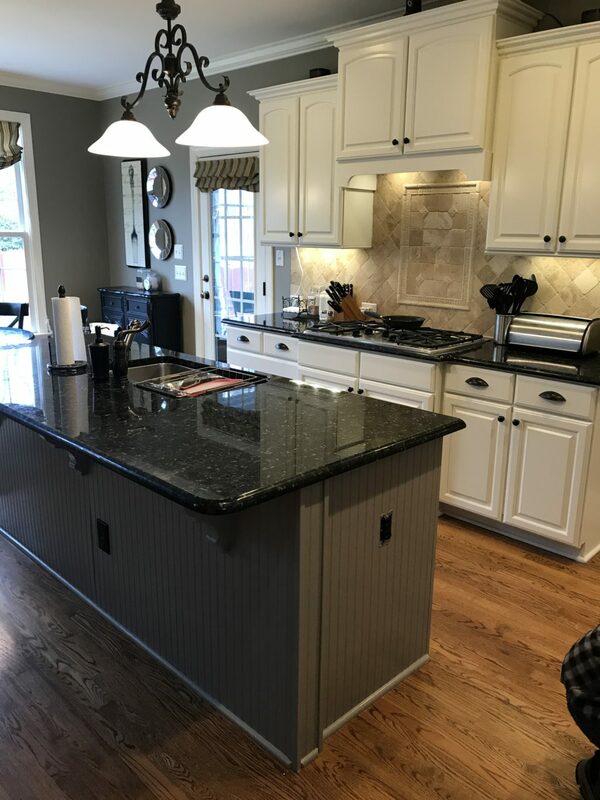 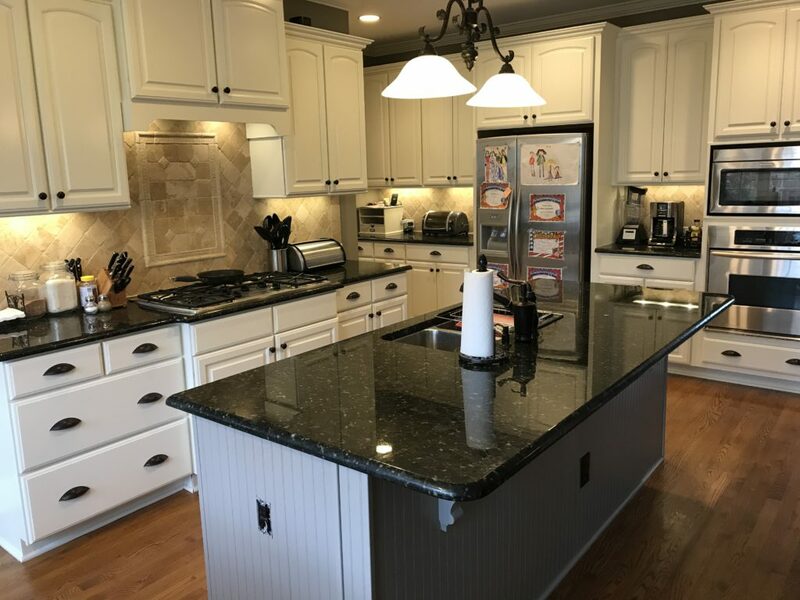 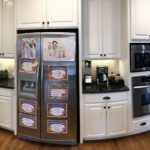 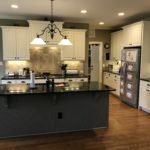 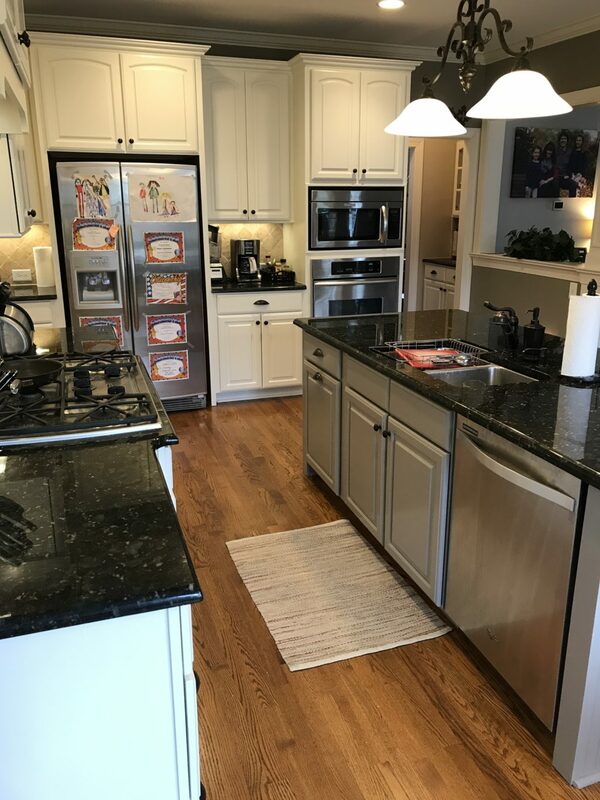 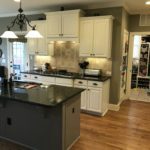 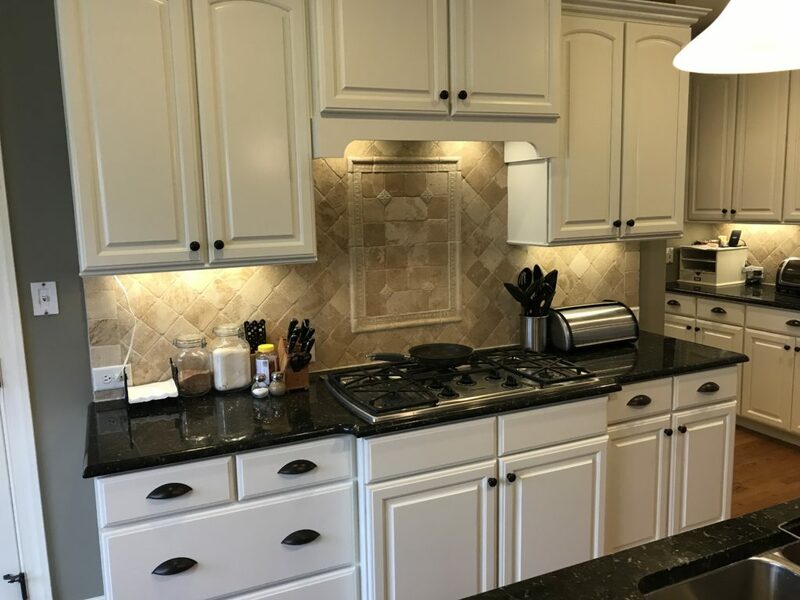 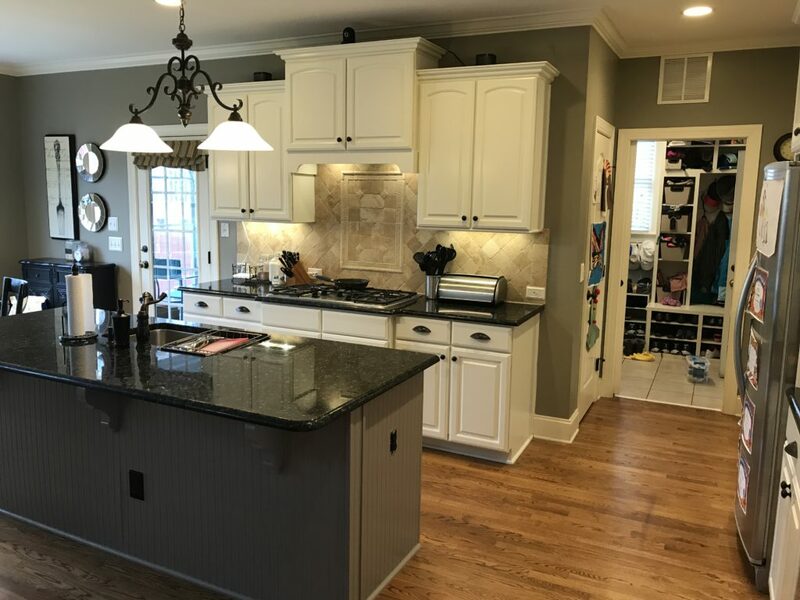 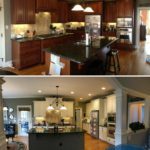 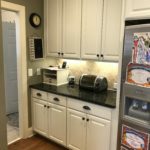 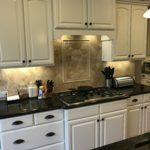 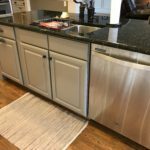 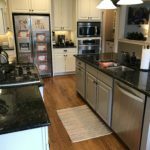 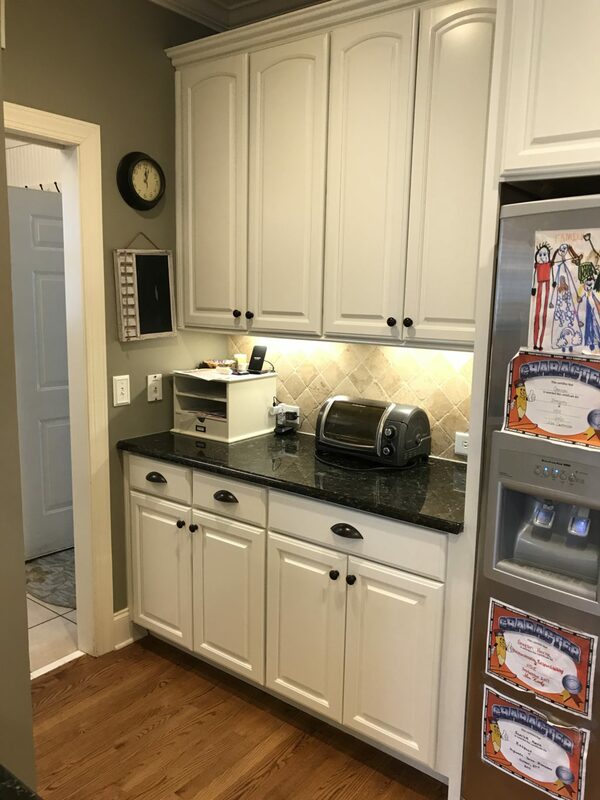 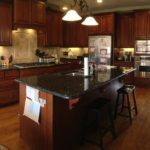 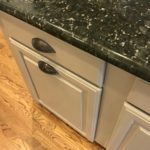 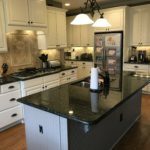 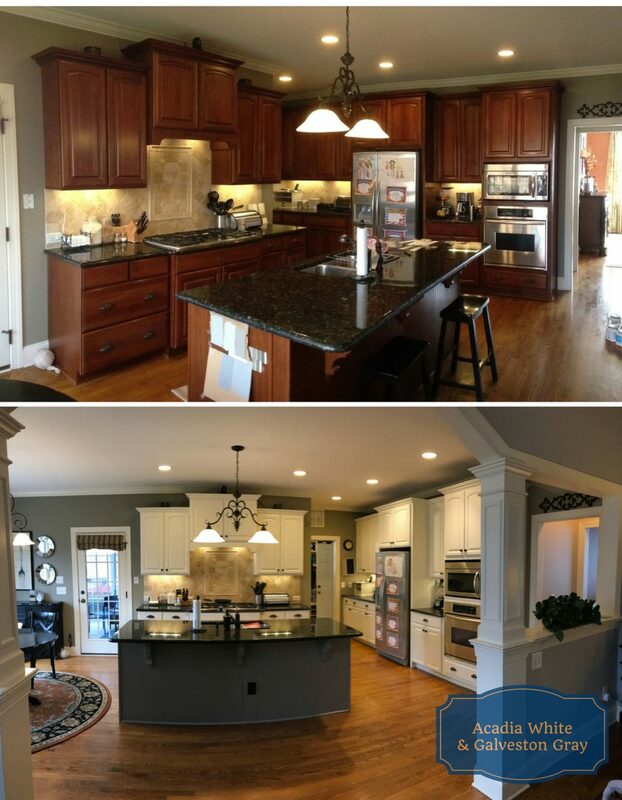 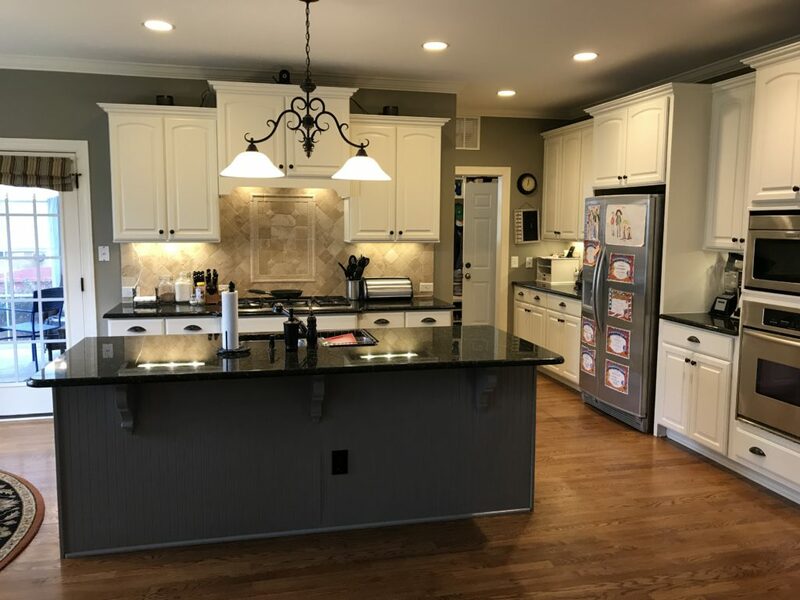 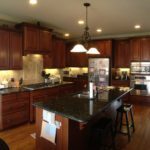 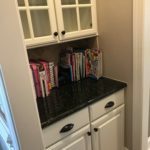 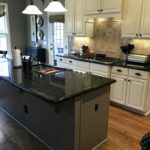 Adding a lighter color on the cabinets made the backsplash tiles and the dark granite stand out be featured. 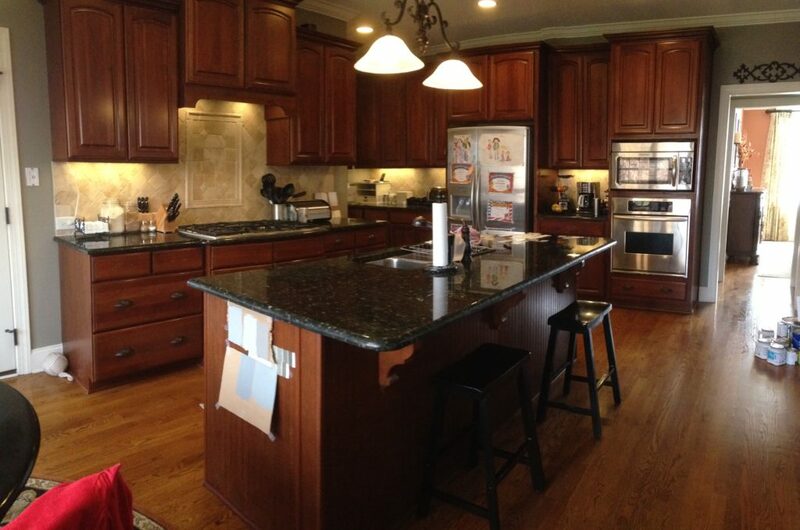 And the floor is more noticeable now too!